Robin Padilla Finally Meets Kylie And Aljur's Son! 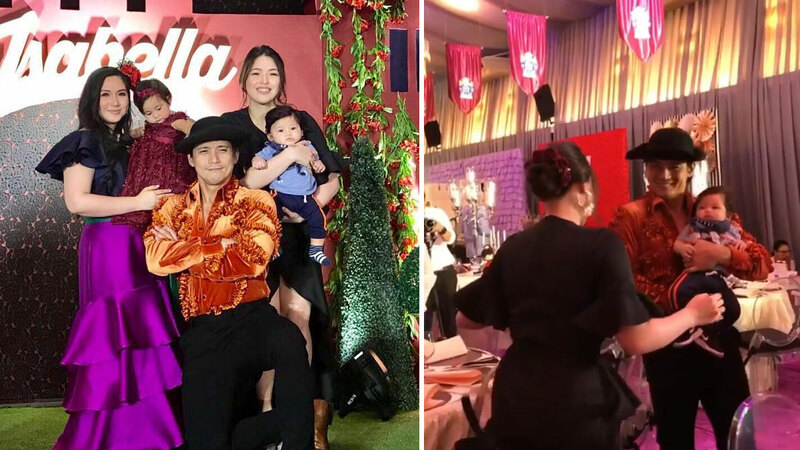 Robin Padilla has finally met Kylie Padilla's three-month-old son Alas Joaquin after a long time of reported conflict between him and his daughter's fiancé Aljur Abrenica. The meeting had been arranged at the first birthday celebration of Isabella, Robin’s first-born with actress-host Mariel Rodriguez over the weekend in Taguig City. This was the first time Robin met Alas and Kylie since the baby was born in August 2017. The rift was said to be because of the decision of Kylie and Aljur to have a baby before getting married. Alas is his second grandchild, following the birth of his daughter Queenie’s baby weeks before Kylie.